SEA is proud to have completed another great kitchen upgrade. The home of Mr. Bill Murphy along historic South Miami avenue built in the 1950’s was the target and provided the grounds for the latest completion. 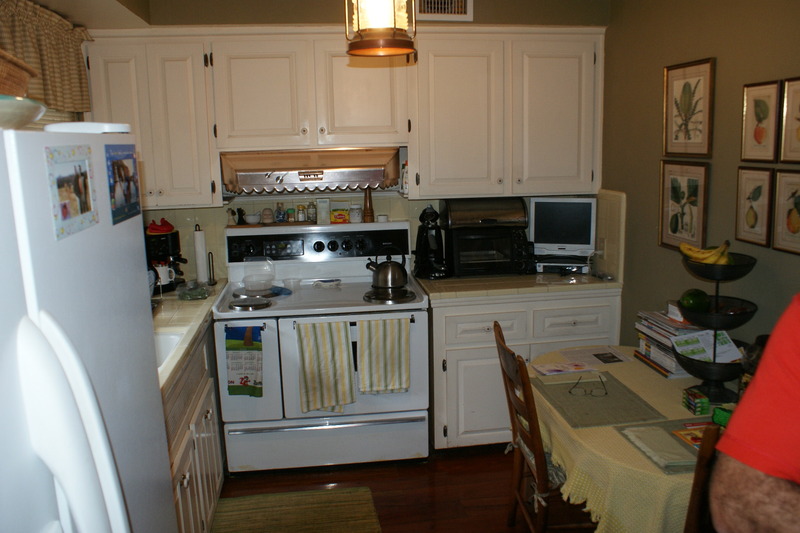 The original kitchen was nestled in the front of the house separated by a saloon style door. Adjacent to the kitchen was a partial laundry and storage area that also held the water heater and lead out to the utility patio and daytime home for Mr. Murphy’s pups! 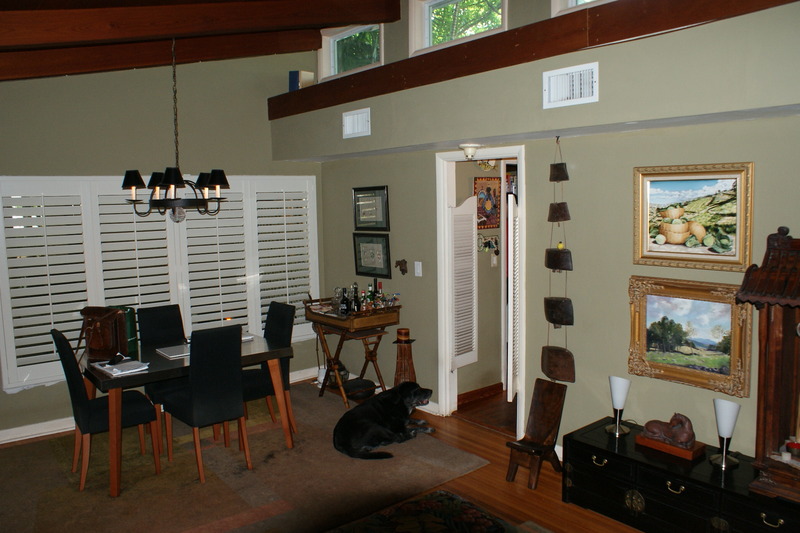 The home features an amazing showcase of solid wood products that have been partially installed with the original design of the house and were also added on by previous owners. 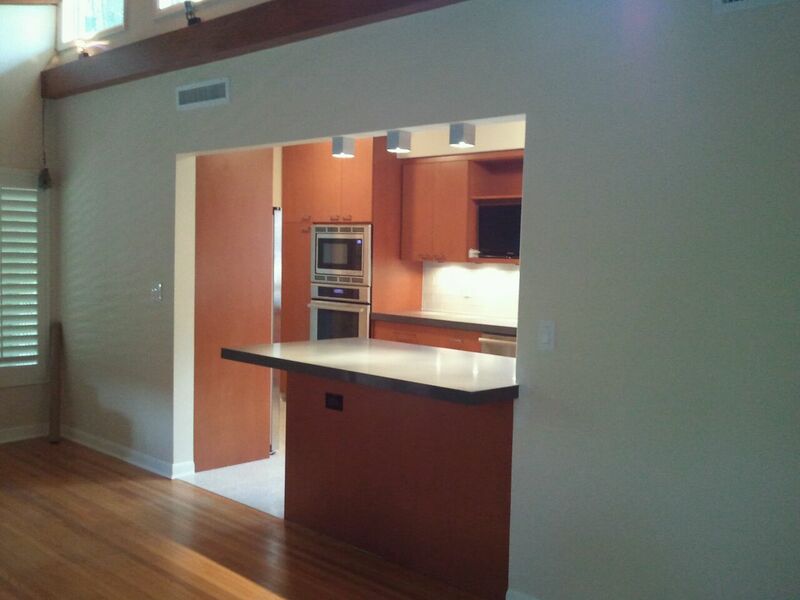 The amazing warmth of this material were the inspiration for the renovation and color scheme for the renovation. The design included the removal of the common wall between the kitchen and living room to open up the feel of the compact home. Extending the counter to double serve as a breakfast area, and replace a small cramped table inside the kitchen, as well as to tie the kitchen into the open space for entertaining also brings natural light to the rest of the living dining area. The project also removed a large A/C duct chase that then exposed the amazing clerestory windows and further illuminates the room naturally. The new kitchen pushed out the laundry across the utility courtyard and replaced the clunky water heater with a on demand heater, perfect for the use of the household. The kitchen then received a new terrazzo floor to keep it easy to clean. 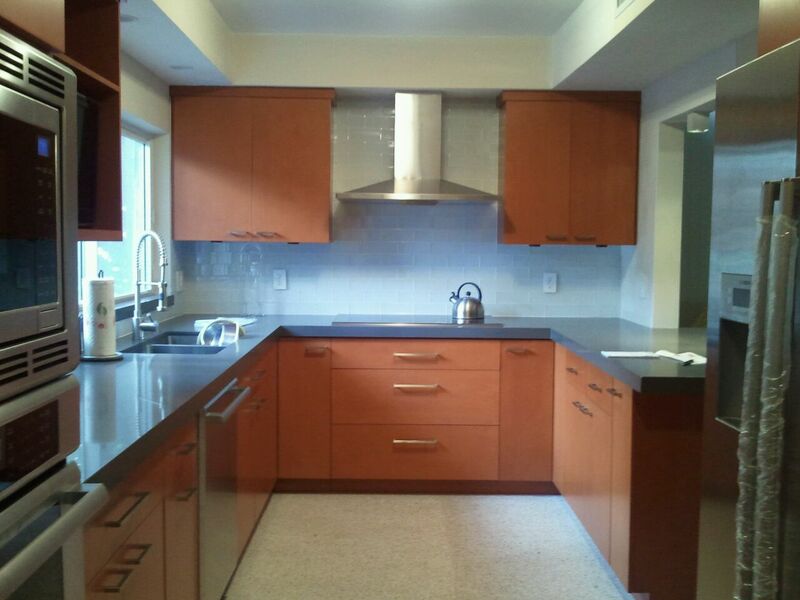 Colors form the existing wood and new cabinets were used in the terrazzo. The new cabinets by Armando Garcia Custom Cabinets Inc. are a delight and have been installed to the highest satisfaction of Mr. Murphy. Appliances are Thermador and Bosch and the counter is Ceasarstone with a glass tile backsplash. Of course non VOC paints and sealants have been used in the project throughout.